I like to eat durian and I didn't buy any durian to eat at Krabi Island, near to hotel doesn't have durian to purchase. 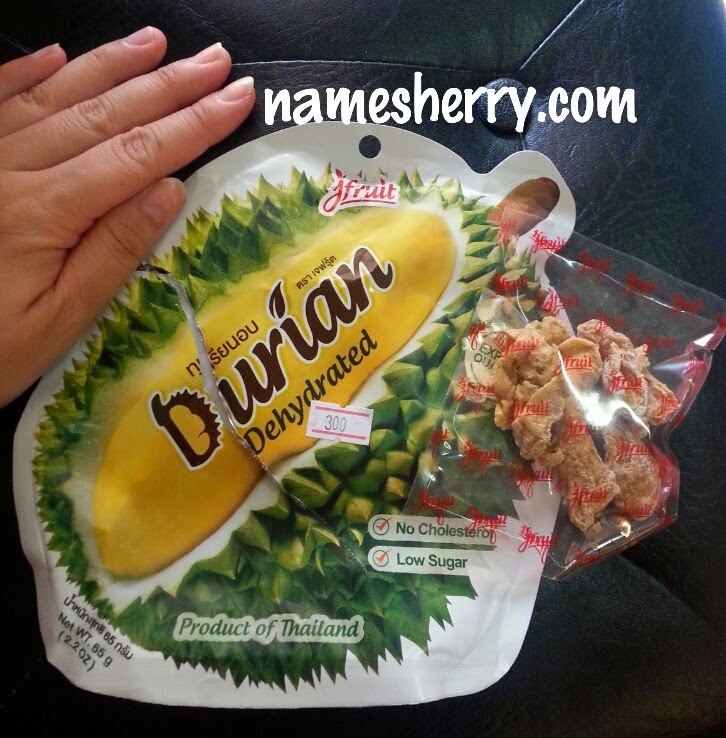 I bought this dehydrated durian pack from Krabi Aiport, it's most expensive durian I bought. No kidding it cost me 300 baht which mean RM30. Inside of this pack only contains of 3 packs, you can see just like above picture. So small packs and so little to eat. I can tell you I am not satisfied with this durian and it's not taste as good as durian we have in Malaysia. For your info, this dehydrated durian taste no good and I don't recommend it. Not many shops in Krabi Airport, I am sure you seen more shops in KLIA 2. Boleh la buat2 rasa. Tak gitu?.hihi. DYatie, yeah boleh cuba kalau tau buat. hi Miera, yeah not many shops, it's less than nine shops.